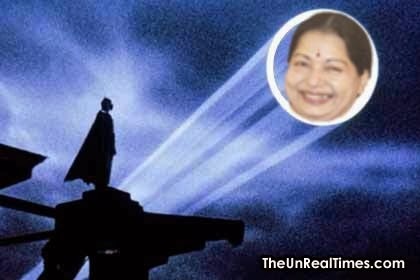 CELEBRITY HUB: Goddess Amma to India's next PM: Here are Funny Posters of Jayalalithaa! 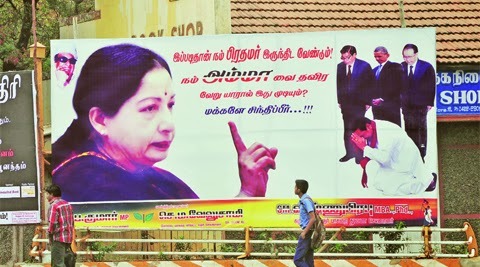 Goddess Amma to India's next PM: Here are Funny Posters of Jayalalithaa! 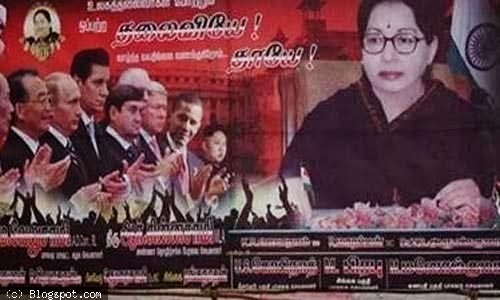 A day after the Tamil Nadu CM J Jayalalithaa's supporters presented the whole parliament in form of cake to her and put up her silly posters, hoardings all over the state on her 66th birthday, the social networking sites went abuzz with Amma's silly photographs on Tuesday. 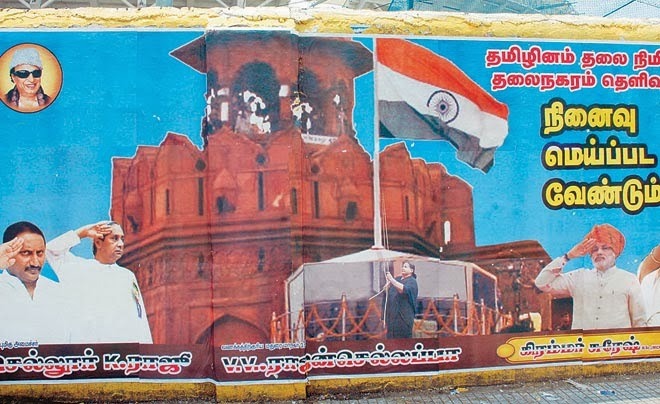 With the CM not keeping her prime ministerial ambitions hidden, some supporters of AIADMK’s Jayalalithaa went overboard and also presented her a mammoth size cake in a shape of "Parliament". 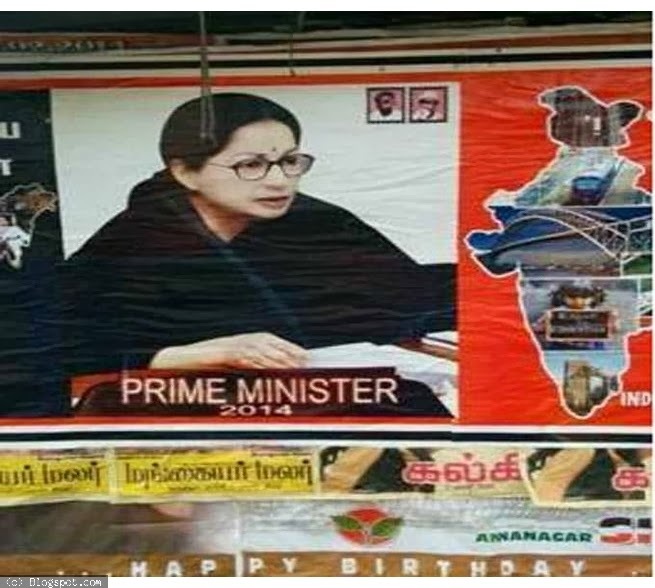 However, the followers justified their move of selecting the parliament-shaped cake for the celebration as they wanted to show their commitment towards the goal and their revolutionary Leader. 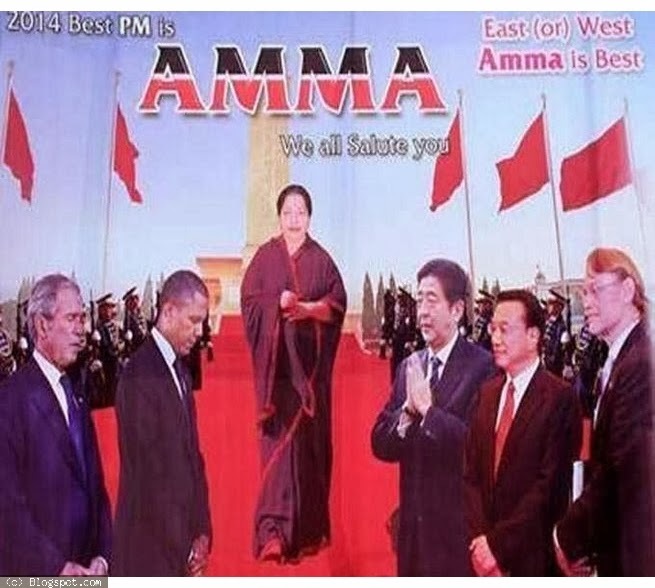 The posters and hoardings displaying US President Barack Obama, former President George Bush and Japanese PM Shinzo Abe bowing to 'Amma' went viral on the Internet. 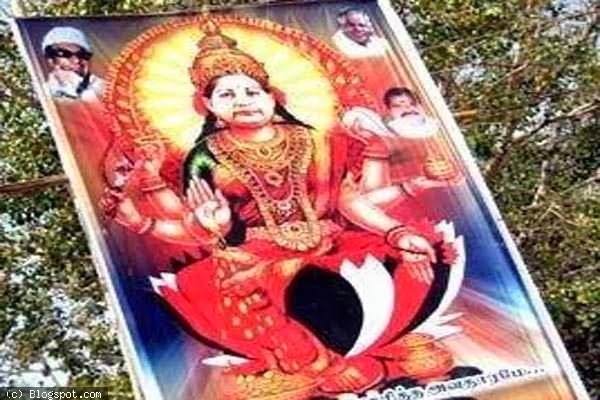 From displaying the Tamil Nadu CM as a goddess to the country's next PM, the netizens had fun posting silly photographs on various social networking sites.